Simple is good. Our Afford-a-Flash™ Flash Dryer is ideal for new screen print shops and startups, or as an auxiliary system in established shops. 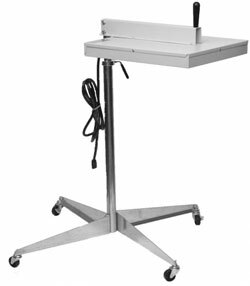 Highlighted by our exemplary Black Body® heater, this unit comes standard with a 10-foot cord, stand, and casters.